Gernitex triaxial reinforcement fabrics are optimized to obtain a high strength-to-weight ratio. Their triaxial carbon fiber / Kevlar weave exhibits unique mechanical properties: high resistance to tensile, compressive and shear stresses in every in-plane direction. 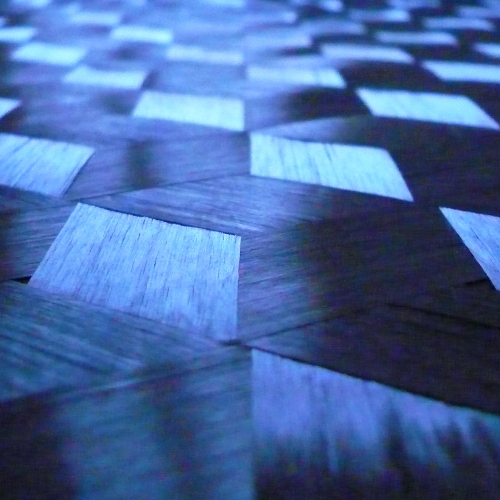 Woven from custom tows made from carbon or Kevlar fibers, they can be used to design one-ply quasi-isotropic laminates, thus reducing lay-up times and costs. 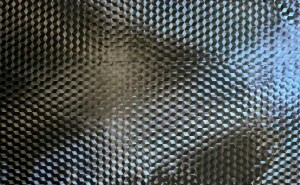 Traditional carbon fiber fabrics and Kevlar fabrics consist in two sets of parallel yarns oriented in two perpendicular directions, for instance 0° and 90°. 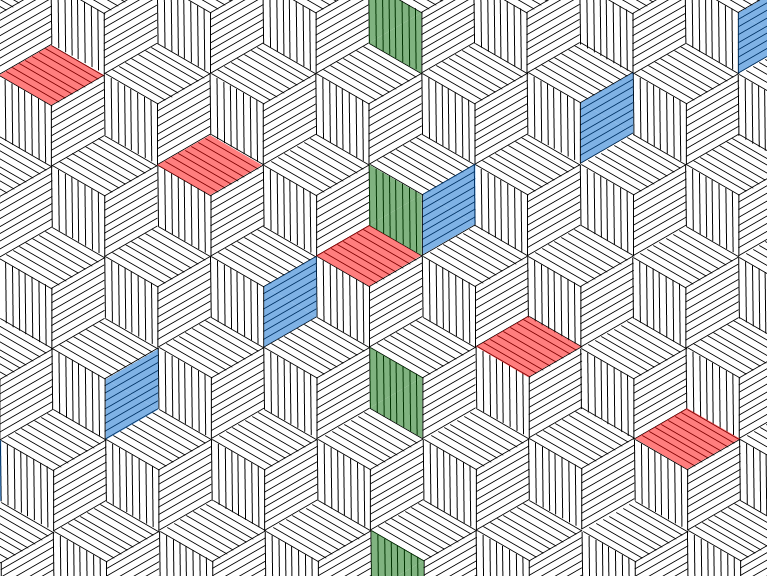 These fabrics are therefore called bi-axial. A biaxial reinforcement fabric’s strength depends on the direction and the type of stress to which it is subjected. In particular, it fails when subjected to tensional or compressive stress in a -45° or +45° direction or to shear stress in a 0° or 90° direction. This behavior is easily verified by trying to distort a fabric sample by hand. If the reinforcement fabric is deformed under stress instead of resisting, that means that the composite part will break. The origin of these failures is that the structure of a biaxial fabric is quadrangular. To overcome these mechanical deficiencies, it is usually necessary to superimpose at least two layers of biaxial fabric that are offset by an angle of 45°. Unlike a quadrangular structure, a triangular one does not deform easily. As it is much more rigid, it is found in many areas like architecture, transportation and about every sector that needs optimized structures. Triaxial fabrics are composed of three sets of parallel yarns corresponding to three directions: 0°, -60° and +60 °. Their structure is triangular. Triaxial carbon fiber and Kevlar fabrics do not exhibit the inherent deficiencies of biaxial reinforcement fabrics. Their strength is practically the same regardless of the stress direction and type (tensile, compressive or shear stress). Where two layers of biaxial fabric are necessary, a single triaxial fabric layer is sufficient. This is why triaxial fabrics allow a simpler and less expensive fabrication process. 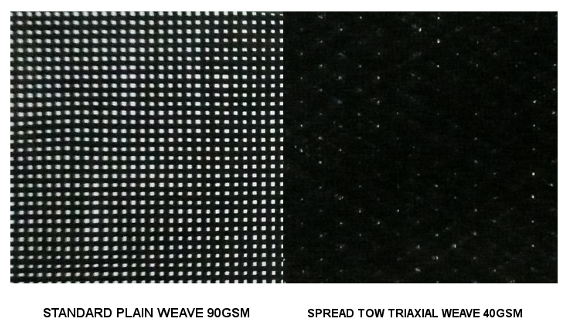 Similarly to plain, twill and satin biaxial weaves, there are many triaxial weaves. Below are two examples. Gernitex fabrics are woven from custom tows made of carbon fibers, Kevlar/aramid fibers or from a mix of carbon fibers and Kevlar/aramid fibers. Fabric density and material composition can be chosen depending on the laminate specifications. Carbon fibers have a high modulus, high tensile and compressive strengths. Triaxial carbon fiber fabrics are the material of choice for high strength-to-weight ratio composite parts. Aramid fibers exhibit an exceptional resistance to cutting. Composite parts containing aramid fibers have an increased wear resistance and a different breaking behavior than those containing only carbon fibers. 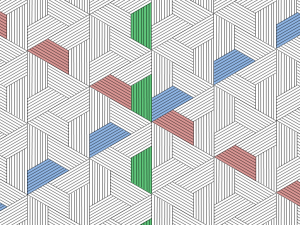 Traditional reinforcement fabrics are obtained by the same weaving method as other fabrics. On a loom, let’s say a horizontal one, a set of parallel warp threads, or yarns, are stretched. Then a passage is opened in the perpendicular direction by lowering or raising each warp thread. A weft yarn then passes through the fabric by this passage. Then the warp threads are returned to their original positions. Depending on if they have been lowered or raised, warp threads are now located under or above the weft yarn according to the desired pattern or weave: plain, twill, satin. A comb is then used to push the newly inserted weft yarn against the already woven portion of the fabric. Then the process begins again. Inside the fabric, each yarn passes over or under the yarns he intersects in a series of waves. However, from a mechanical point of view, like a beam, a corrugated fiber buckles and deforms more easily than a straight fiber. Due to the fiber undulations, traditionnal fabrics don’t have an optimal rigidity. One way to significantly reduce the undulations of fibers within the fabric is to spread the yarns into wide and extremely flat ribbons called spread tow tapes, and then weave these ribbons on specially designed looms. Spread tow fabrics are extremely flat and have practically straight fibers. As a consequence, they exhibit greater rigidity in tension and compression than traditional fabrics and they have a better resistance to buckling under compressive stress. Furthermore, because of their flatness, these fabrics require less resin during impregnation. Thus, for an equal strength, a traditional fabric requiring a given amount of resin can be replaced by a lighter spread tow fabric requiring less resin. By optimizing the configuration of the carbon fibers, spread tow fabrics enable lighter and stronger composite parts. 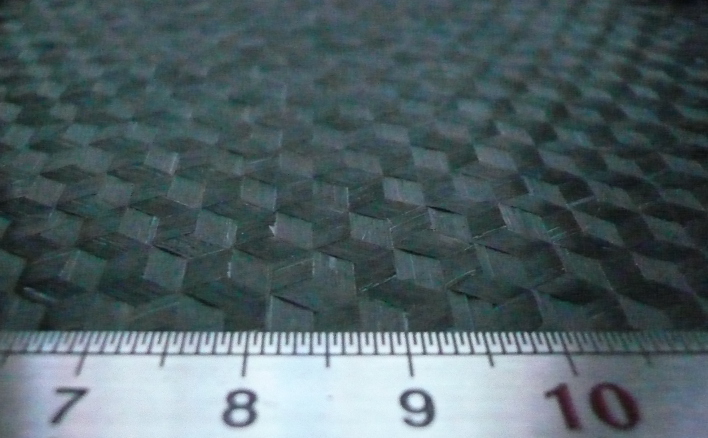 Both biaxial and triaxial carbon fiber fabrics can be woven from spread tows. Tow tightening is the opposite of tow spreading. It can enhance fabric resistance to penetration by a bullet or a sharp object. 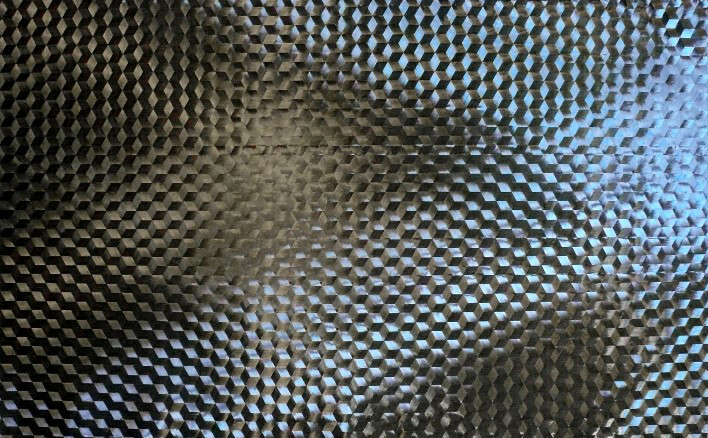 This kind of tight weave is particularly suited for ballistic aramid fiber fabrics. By default, Gernitex triaxial carbon fiber and Kevlar fabrics only incorporate the original fiber manufacturer sizing for best performances. Spread tow fabrics without additional sizing are very delicate and prone to small defects like tow width reduction and gaps. 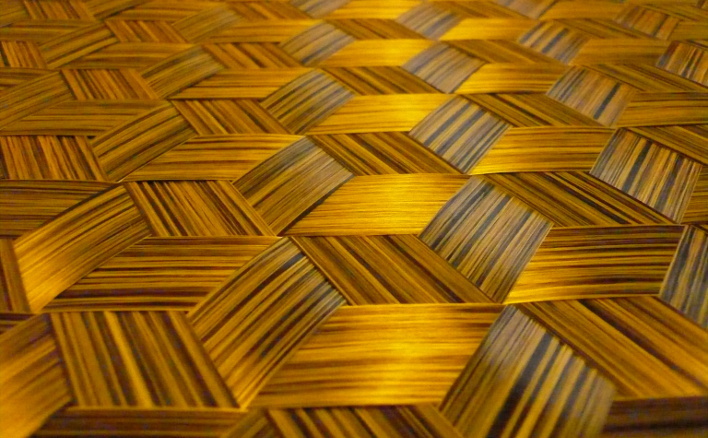 However, it ensures optimal impregnation and adhesion between fibers and resin during laminating. This method is recommended for fabrics used as reinforcements. Spread tow fabrics can also be strengthened by an additional sizing such as a moisture resistant PVA (polyvinyl alcohol) or by an other sizing composition depending on client specifications. Such fabrics are easier to manipulate, exhibit a better geometrical conformity and still have an excellent impregnability. However, the additional sizing can modify the adhesion between the fibers and the matrix. 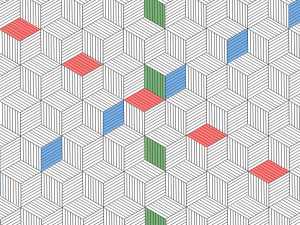 This method is designed for cosmetic fabrics. 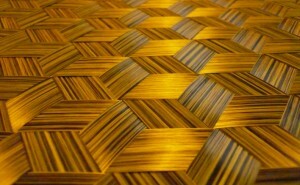 Weave any triaxial weave e.g. dense, light etc.